Made using the Best English bridle leather. Available in a range of colours and widths to suit all. 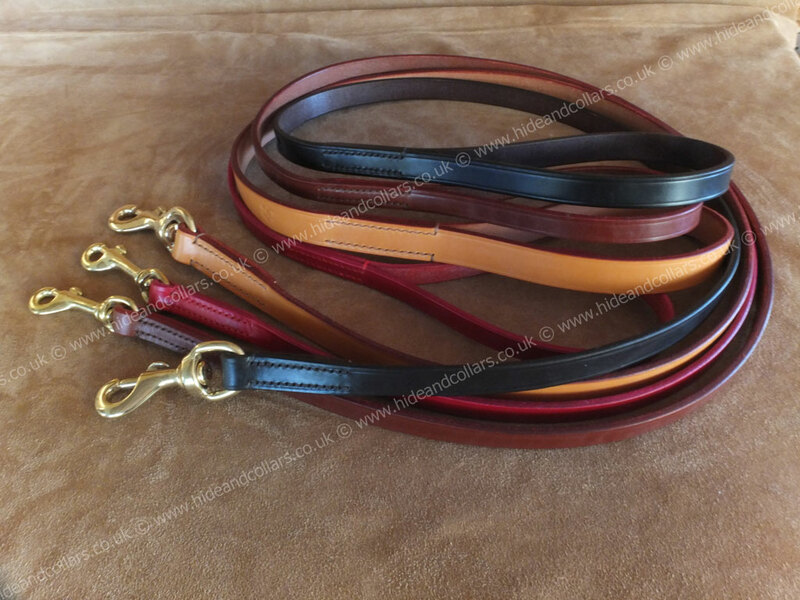 These leads are all individually hand cut from the best English bridle leather. All the edges are bevelled and dyed and they are hand stitched.